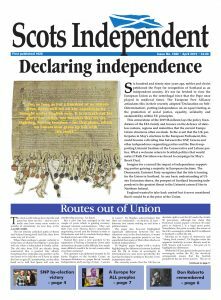 A weekly online newspaper bringing you information on the political scene in Scotland: part of the monthly Scots Independent. “The Private Housing (Tenancies) Bill will provide for a transformative change in the private rented sector – providing security for Scotland’s 700,000 tenants. “The Bill creates a modern tenancy, ends no fault evictions and limits rent increases to once every 12 months. “This legislation addresses the problem of excessive rent rises by giving councils the ability to apply to introduce rent controls in designated rent pressure areas. This is the first time any such control has been introduced in Scotland and is an ambitious plan to ensure protection for tenants from excessive rent rises. “The Bill also introduces a new system of redress for landlords and tenants through the new First-tier Housing and Property Tribunal. Housing Minister Margaret Burgess announced this afternoon that there will be no fees for tenants or landlords taking their case to the Tribunal if the SNP are re-elected for an historic third term. Content of the Flag in the Wind is the copyright of the Scots Independent Newspaper which has been owned, edited and printed in Scotland since November 1926.